James Lee Herndon, President of THE HERNDON COMPANY in Valdosta, Georgia graduated from Lanier County High in 1964. He graduated from Valdosta State University in 1969 with a B.S. Degree in Biology-Chemistry. He became a licensed realtor in the State of Georgia the same year. He attended the University of Maryland from 1971-1972, U.S. Army Engineer School in 1970, U.S. Army Military Intelligence School in 1971 and Honeywell Computer System School in 1972. He was assigned by the Army to the National Security Agency (NSA) from 1970-1973 obtaining the rank of Captain. James Lee returned to Valdosta to go into the family Real Estate Firm where he has risen from sales agent to the Company President. He has earned the coveted Certified Commercial Investment Member (CCIM) designation May of 1982 in Chicago. 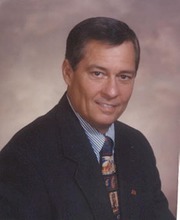 He is a past President of the Valdosta Board of Realtors and a past President (Year 2000) of the Georgia Association of Realtors. James Lee has also been chosen Realtor of the Year for the Valdosta Board of Realtors on two separate occasions. He served several years as a Georgia delegate to the National Association of Realtors. James Lee also taught a real estate class for the Graduate Realtors Institute for 10 years and served 6 years as a Governor of the Institute, where he had earned his GRI designation in 1976. He has been involved with many commercial developments in the Valdosta Area including Wal-Mart Shopping Center - St. Augustine Road, Sam's on Norman Drive, McDonald's, Pizza Hut, Cracker Barrel, Chic-fil-a, Camelot Crossing (Cass Burch Chrysler, Pipkin's Motors, & Colony Bank), and Super Wal-Mart on Perimeter. Herndon also was a partner in Cherry Creek Properties, the development company that developed Cherry Creek and Cherry Creek North. One of the most memorable projects he was involved in was participating in the sale of Brookwood Plaza Shopping Center to the University System of Georgia. Currently, James Lee serves as President of the South Georgia Medical Center Foundation. The foundation has been instrumental in building the Pearlman Cancer Treatment Center, Dasher Open Heart Center, Langdale Hospice House and the new five story Dasher Heart and Patient Tower. . He is married to the former Cindy Howell of Lakeland. They have six daughters and thirteen grand children. James Lee and Cindy are active in the United Methodist Church. James Lee was awarded REALTOR Emeritus by the National Association of REALTORS in 2013.